Tumble is a relatively large village and a gateway to the Gwendraeth Valley. It is situated south of Cross Hands near the towns of Carmarthen and Llanelli in Carmarthenshire. Tumble was developed in the 19th century to house the anthracite miners who were employed at the nearby Dynant and Great Mountain collieries. Tumble is home to rugby union club Tumble RFC, whose first team won the West Wales Cup on five occasions and produced Welsh international Archie Skym. One of the most famous residents of the village was snooker player Gary Owen, who was world amateur champion in 1963 and 1966. Tumble Hall is managed by Llannon Community Council, and is located centrally on the Main street/thoroughfare. Tumble Hall is a multi-purpose building that plays host to a wide range of functions and occasions, from weddings, parties, concerts, conferences, dancing lessons, exercise classes and more. The Hall offers numerous facilities and is also home to the Tumble Public Library. If you require any information, up to date list of prices or wish to make a booking enquiry, please contact Mandy Owen on: 01269 841213 or on: 07805340188 to discuss your needs. The hall offers a choice of rooms, Stage and Lighting System, Sound System, Portable Microphone and Public Address System, Screen and projector, Broadband access, Catering Facilities, Bar (Full Licence for 7 days). Disabled Toilet Facilities and loop audio system in place. Car Park. 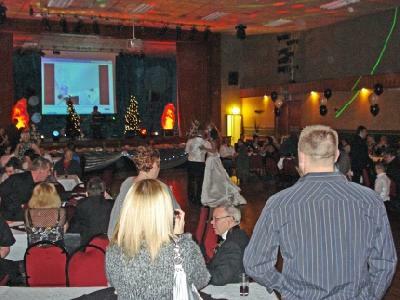 The Hall offers a wide range of facilities to ensure that you will have an enjoyable event at the Hall. If you have any other requests we would be more than happy to discuss them with you. Tumble Village is located 2 miles from the A48 Dual carriage way at Cross hands and involves a 4 minute drive south along the Bryngwili Road leading from Cross Hands. 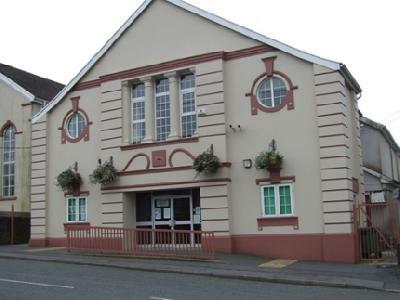 The county town of Carmarthen is about 12 miles from Tumble and 9 miles from Llanelli (following the Llandeilo Road out from Llanelli Town Centre).Tumble is also the gateway to the Gwendraeth Valley and is located between the vilages of Cross Hands, Pontyberem, Llannon and Cwm Mawr. The Memorial Hall is located centrally on the Main street/thoroughfare in Tumble.